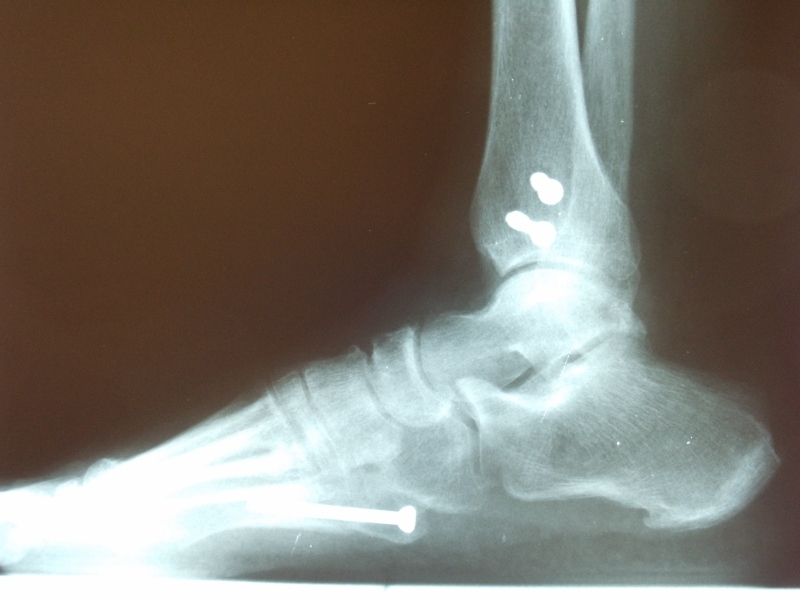 Problem: Microfractures that occur in any bone in the lower extremity or spine. Overuse of the extremity may occur in an unconditioned athlete. Repetitive stress to a conditioned athlete without periods of rest. Malalignment of the lower extremity (excessively high arched foot or flat feet). Underlying bone demineralization (osteopenia, osteoporosis). Young females with menstrual irregularities. 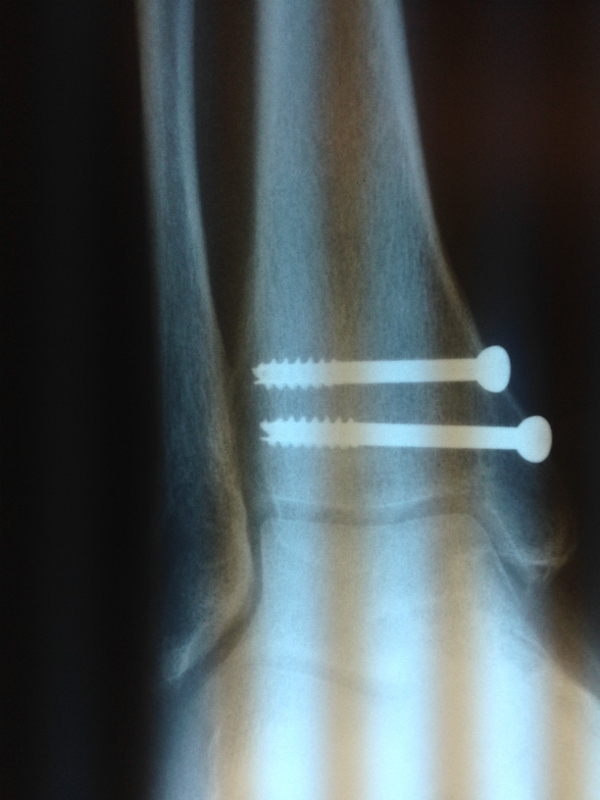 Pinpoint tenderness to any bone in the extremity associated with localized swelling. Pain that gets progressively worse during an activity. As the problem progresses, pain can become severe causing an inability to weightbear or participate in any activity. 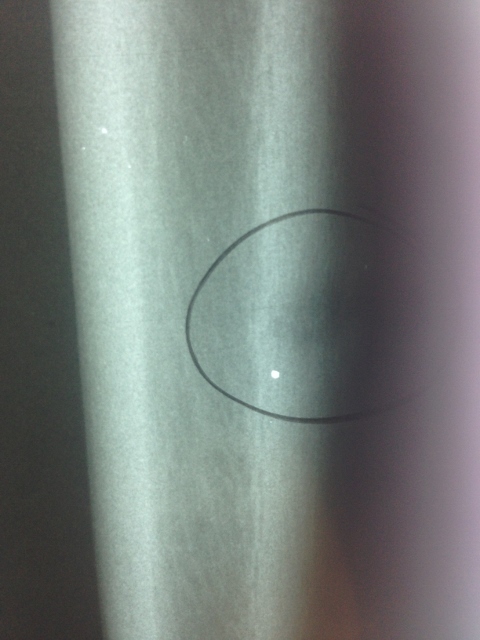 Usually negative for the first 2-3 weeks, then as healing progresses x-rays may show bone callus formation. 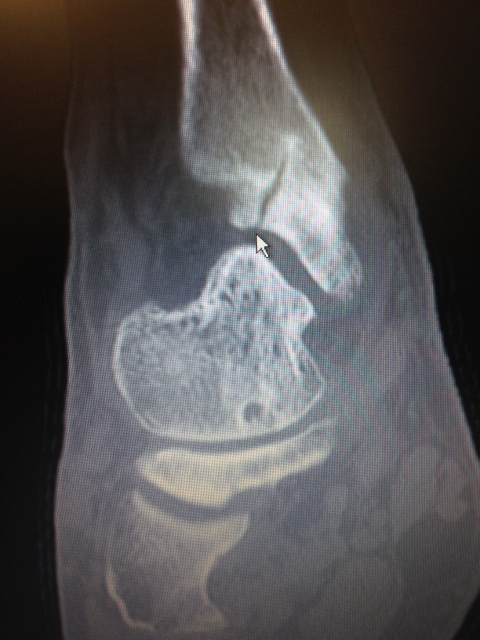 MRIs will usually show the earlier signs of stress fractures as the bone marrow starts to swell. Rest from the activity and cross training to continue overall fitness. Custom molded orthotic (shoe insert) to improve cushioning and realignment of the foot and lower extremity. 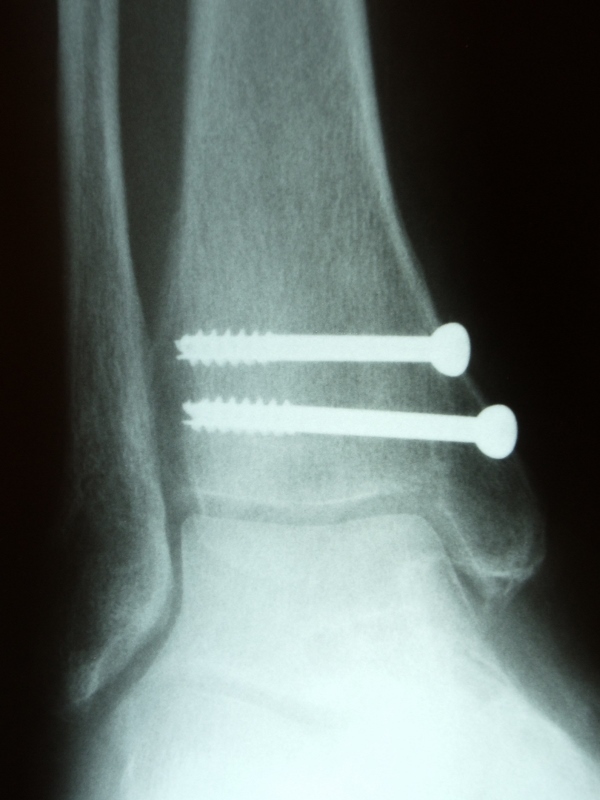 Occasionally immobilization in a removable boot to allow the bone to completely rest and heal completely. Bone stimulator if the fracture is not healing. Surgery in rare cases if the bone fails to heal. 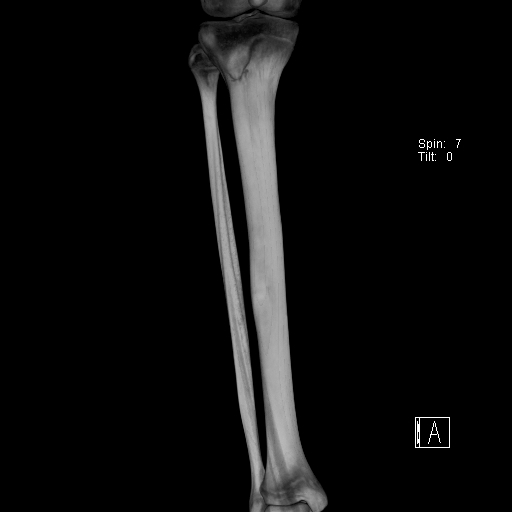 In the pictures of MRI images below, the bone of the tibia shows high signal intensity (white within the black) that shows increase blood flow and swelling within the bone that indicates a stress reaction/fracture. 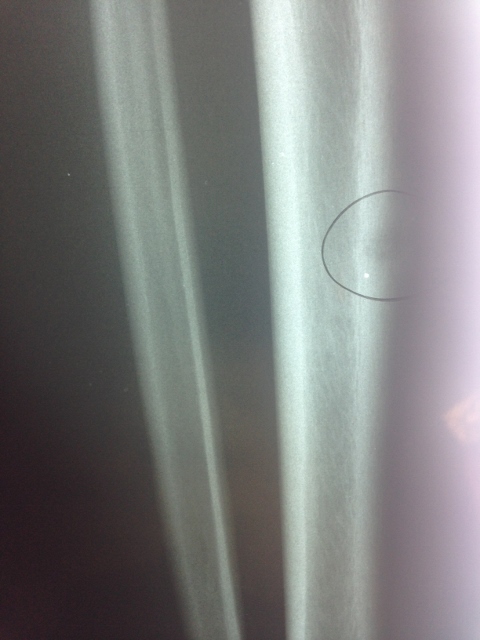 The x-ray image below demonstrates a fracture through the tibia that is in the process of healing. 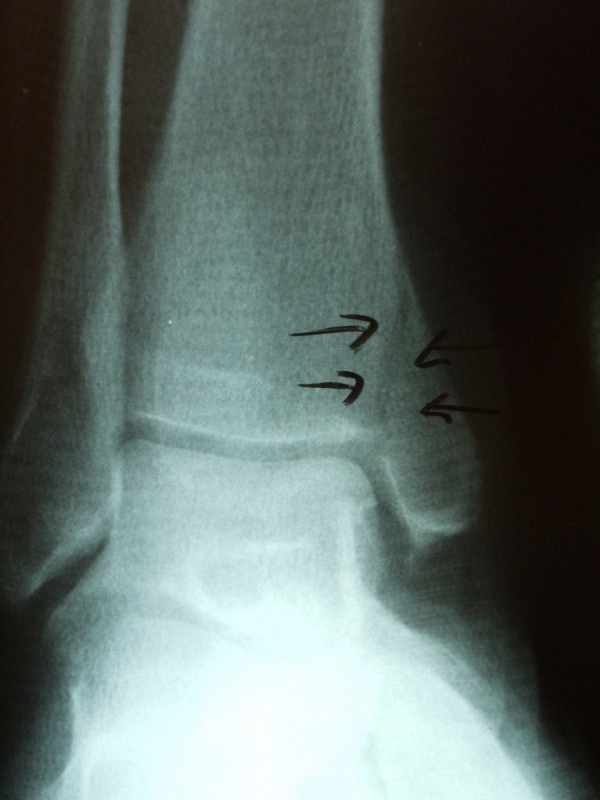 Most stress fractures do not show on x-ray until after they have started healing. 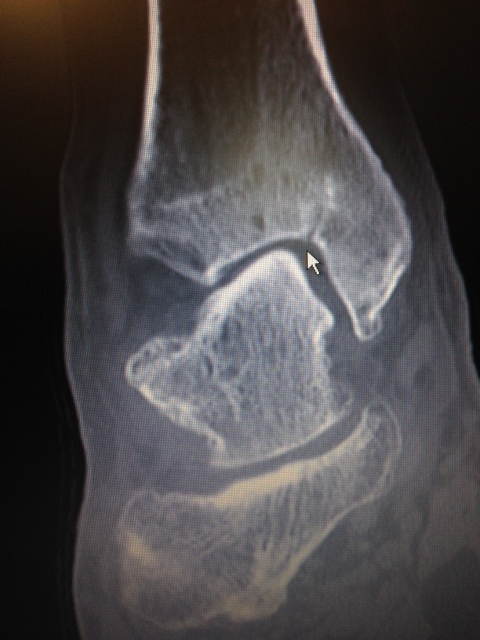 It could take several weeks to see a stress fracture on plain x-rays.